Are you striving for greater diversification in your portfolio? You could do it one step at a time with a bond ladder. With this approach, instead of owning bonds that mature at about the same time, you acquire bonds with varying maturities. Suppose, for example, you have $50,000 to invest in bonds. You might buy five bonds, each with a $10,000 face value, that mature in one, two, three, four, and five years, respectively. To stretch the bond portfolio further, you could get 10 bonds, with a face value of $5,000 each, that mature one a year for the next 10 years. Bond laddering provides some protection from the vagaries of the marketplace. For instance, if you had invested that same $50,000 in a single 10-year bond with a yield of 5%, you'd have frozen your ability to respond to market changes for the next decade. As interest rates and inflation fluctuated, you'd be unable to take advantage of rising yields or do anything to counter a drop in yields. And 10 years is a long time in the investment world. With a bond ladder, you'd have much more flexibility. As each bond matured, you could choose what to do with the proceeds. 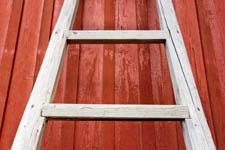 If yields were on the upswing, you could opt for a new, longer-term bond to fit at the far end of the ladder. You also would have the option of using the cash or buying a bond with an earlier maturity date. 1. Number of rungs. The simplest method is take the dollar amount you plan to invest and divide it equally by the number of years you want the ladder to cover. That will determine how many bonds (or “rungs”) your ladder will have. Having a greater number of rungs increases diversification within your portfolio (although this also increases costs). Also, consider your need for income. 2. Height of the ladder. The distance between the rungs is determined by the maturity dates of the bonds. The longer you make your ladder, the higher the average return for your portfolio should be, because longer-term bonds tend to carry higher yields than shorter-term ones. However, the overall return for a higher ladder may be offset by added investment risk and decreased access to the funds. If you shorten the distance between rungs, you may reduce the portfolio’s return but give yourself better access to the money. 3. Building materials. One common approach to bond laddering is to invest in bonds of different companies as well as different types of bonds—debentures, Treasury bonds, municipal bonds, and others. Each option comes with its own pros and cons, and using several could increase the diversification of your bond portfolio. However, it’s best to avoid bonds that are redeemable or callable by the issuer. Having a bond redeemed early could create a missing rung in the ladder.